Amid the global uncertainties of our times, failure has become a central subject of investigation in recent art. Celebrating failed promises and myths of the avant-garde, or setting out to realize seemingly impossible tasks, artists have actively claimed the space of failure to propose a resistant view of the world. Here success is deemed overrated, doubt embraced, experimentation encouraged, and risk considered a viable strategy. The abstract possibilities opened up by failure are further reinforced by the problems of physically realizing artworks--wrestling with ideas, representation, and object-making. By amplifying both theoretical and practical failure, artists have sought new, unexpected ways of opening up endgame situations, ranging from the ideological shadow of the white cube to unfulfilled promises of political emancipation. Between the two subjective poles of success and failure lies a space of potentially productive operations where paradox rules and dogma is refused. 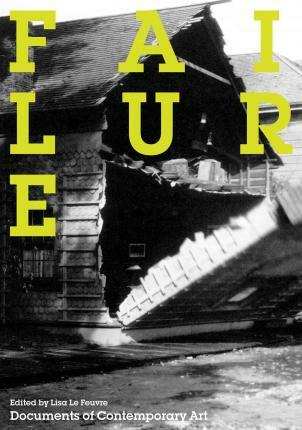 This collection of writings, statements, mediations, fictions, polemics, and discussions identifies failure as a core concern in cultural production. Lisa Le Feuvre is Head of Sculpture Studies at the Henry Moore Institute in Leeds, England.